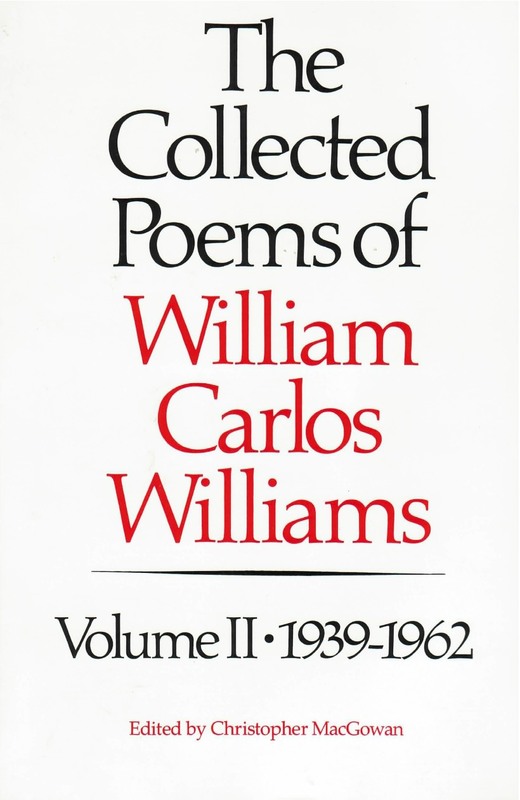 And when the second and final volume of Williams’ ‘Collected Poems’ is published, it should become even more apparent that he is this century’s major American poet. Now available as a New Directions Paperbook, The Collected Poems of William Carlos Williams, Volume II, 1939-1962 (originally brought out in 1988) completes the definitive edition of Williams’ published poems (exclusive of Paterson) begun with Volume I. Edited by Christopher MacGowan of the College of William and Mary, this second volume includes the collections Williams published contemporaneously with the first four books of Paterson––The Wedge (1944), The Clouds (1948), and The Pink Church (1949); the two books in which the poet developed his distinctive three-step line––The Desert Music (1954) and Journey to Love (1955); and his final volume, Pictures from Brueghel (1962), which won a posthumous Pulitzer Prize for its author. As in Volume I, uncollected poems are arranged chronologically and inserted between the individual books. Extensively researched annotations provide numerous comments by the author on his poems as well as significant textual variants and helpful background information.